Before start, I’ve realised that there’s not much point in giving a rating out of 50. It should be out of 100! So, from this point onwards, each section of a review will be out of 20 – so there’s a little more wriggle room in there also, with the final score out of 100. I’ve also decided to split the Value for Money and Collectibility categories. These will continue to be scored out of 10. After writing so many reviews – this is my 90th review – the Value for Money and Collectibility section can be a bit ambiguous – one will take the score down, with the other raising it back up again. This should now be a more accurate representation of the set, in my opinion at least! I’ve also got a bit more space in the office now – enough for a much better light box setup, so the photos will be much better quality too. Ok, lets’ take a look at the set. 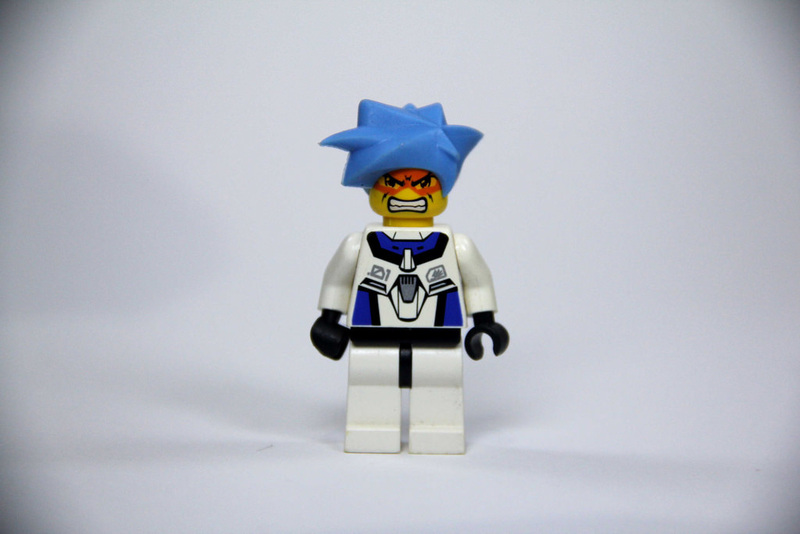 I’m staying with the Exo-Force theme this week, but looking at the opposition – the heroes! 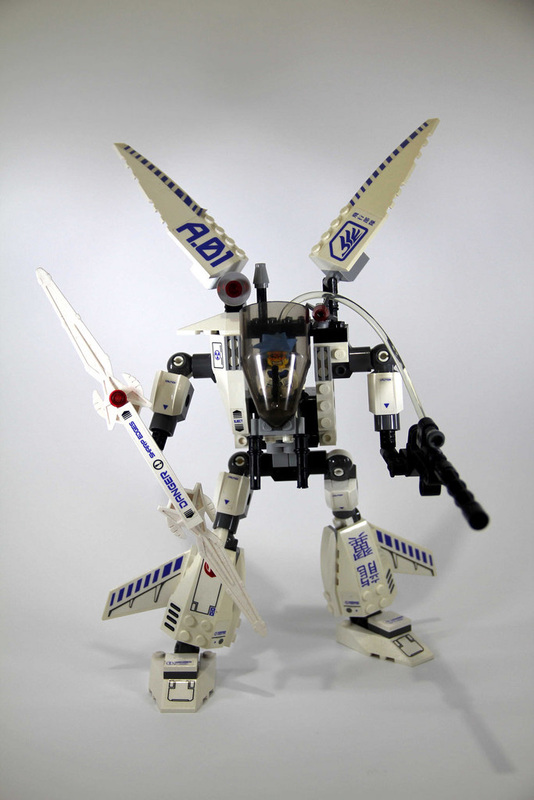 7700 was the first Exo-Force set to be released, and it’s a really cool looking one, with wings and fins stuck all over it. It certainly looks mean. While this set includes some pretty great parts, it’s almost perfectly symmetrical, so there’s only limited scope for including awesome elements. Once again, the only element that’s unique to this set are the swords. There’s two of them in the set, to make a pretty mean looking double bladed sword. 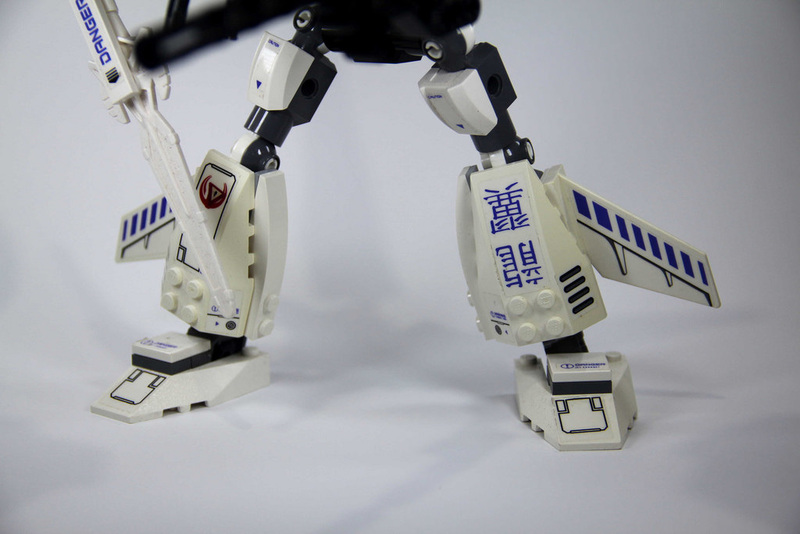 Theres the joint links in white, some pretty great sloped 4x6x1 parts seen in the feet, and the big wings at the top with the 3×12 shell pieces. Another interesting element is the section that makes up the big rifle. It’s called a Bionicle Head, Bottom. I’ve never owned any Bionicle sets, so it’s an interesting part for me! There’s two nice sized 2x6x4 rudders in white, and some interesting bowed parts dotted around. 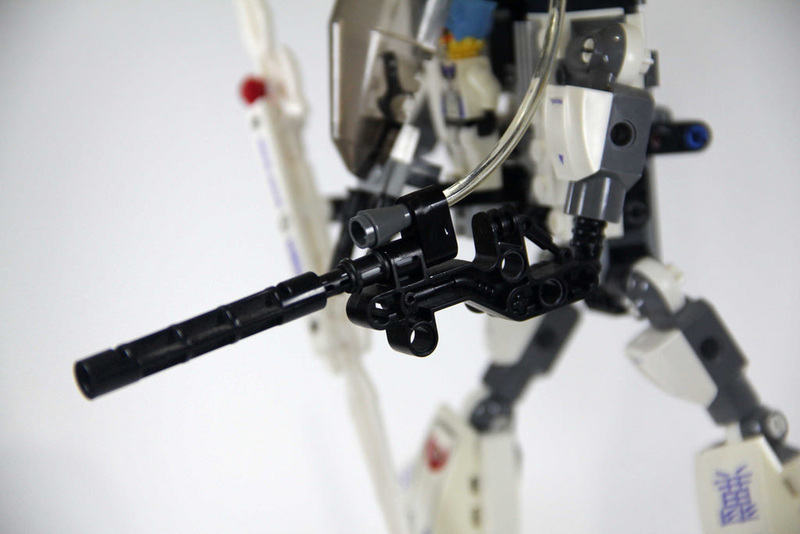 Lastly, there’s the light brick and transparent hose that’s common in the Exo-Force mechs. From the design of the instructions ( I never saw the box). 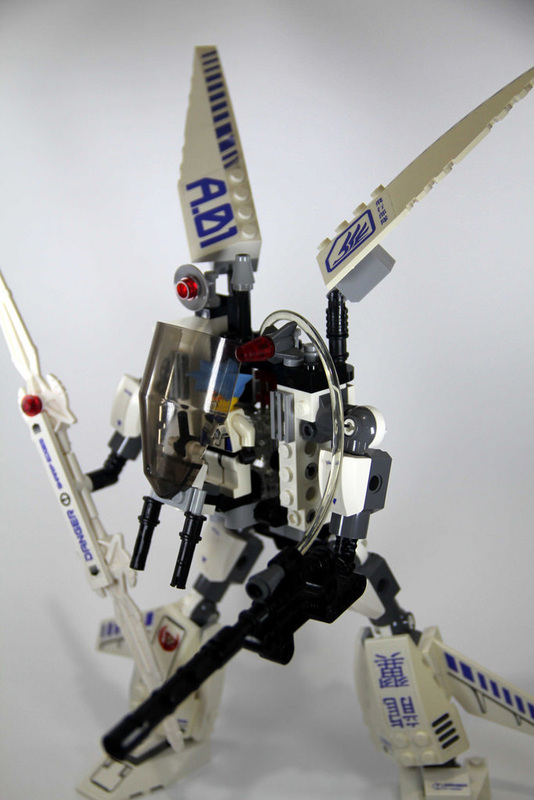 it appears that it’s intended for this mech to be able to fly. I have no idea how, but it’s definitely flying in the image. While this set is fun to pose in different positions, I’d never think to fly it around the room. It’s also, like 7702: Thunder Fury, not that great at balance, as the mech is quite top heavy. 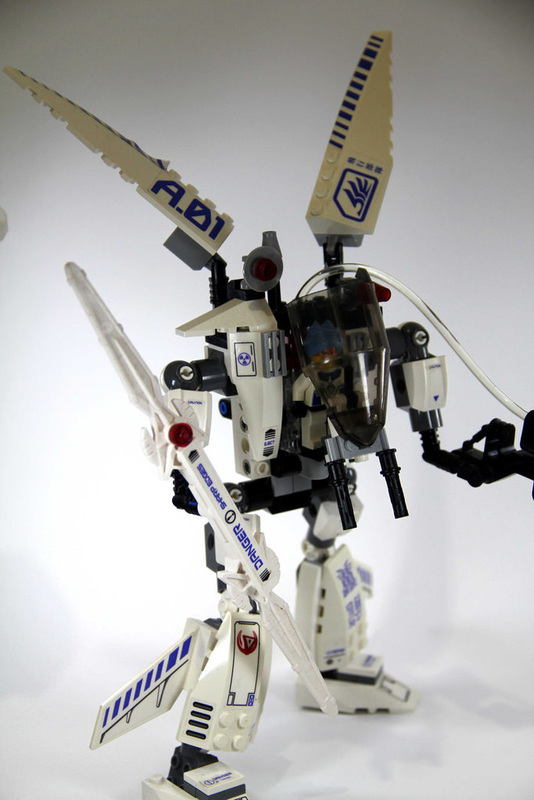 While the mech looks really great for a display, it would be terrible in a battle! The cockpit is extremely exposed from almost all sides apart from the direct front, and the control stick is tiny – I would have liked to have seen a more robust cockpit and a better control mechanism. I’ve also go no idea why there are two guns (at least I think they’re guns) at the bottom of the cockpit, pointing at the ground. If the pilot has let someone get close enough to be underneath the cockpit, they shouldn’t be piloting the mech, especially with a giant gun and even more giant sword at their disposal! Based off a current selling price of around $40 for a new set, you’re looking at around 25 cents per element. Its not a terrible rate, but considering what’s included in the set, it’s also not great. I’d aim to get one of these sets new for less than $40 if possible, but it might be tricky. The best thing to do is get it in a bulk box, like I did. If you’re not precious about a new set, then it’s a little more reasonable, at around the $20 mark. There’s a few around as well. 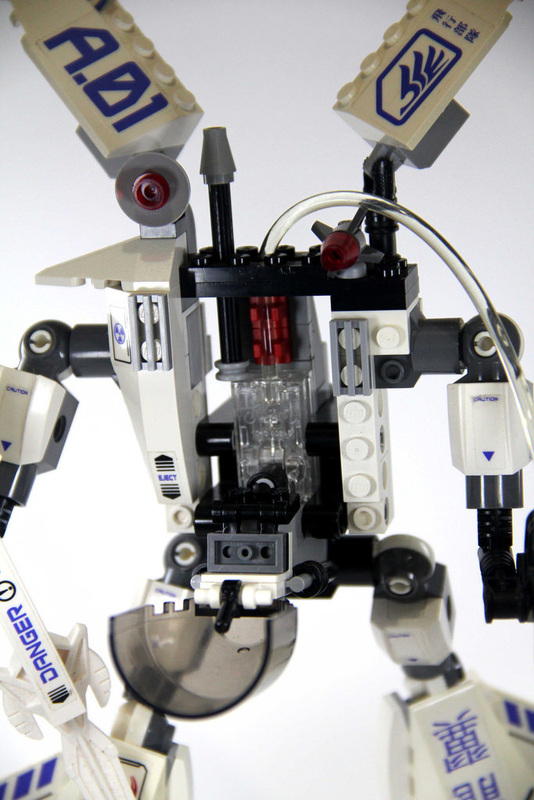 There’s been a plethora of mech sets from LEGO over the years. If you’re a fan of mechs, then the Exo-Force theme is right up your alley. They include some pretty interesting parts, and look fantastic on a shelf. If you’re into set modding, then the skeletal structure is a great base for designing mechs from scratch, as it’s inherently poseable. 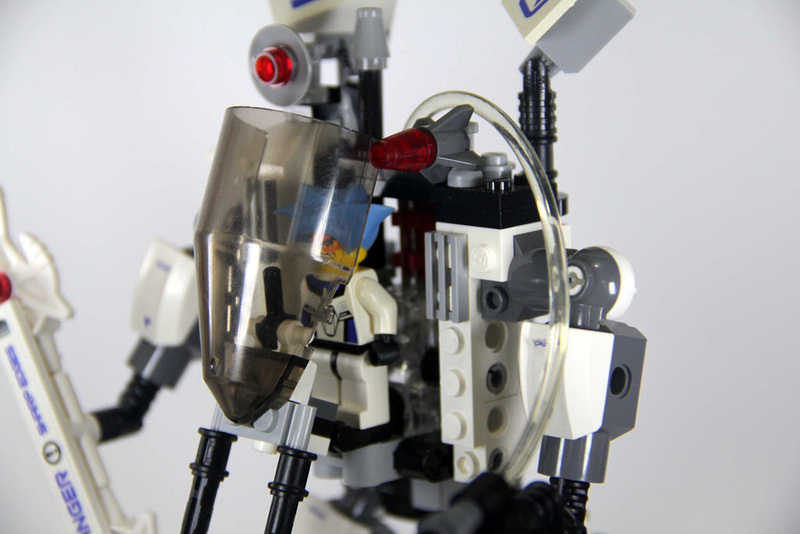 You’ll find it hard to collect every mech LEGO has ever done, as there’s well over 100 of them, some dating back to the early 80s, but these sets are quite collectible. It’s not a super high score, but not a bad one either. I was pretty lucky that I was able to get my hands on a whole lot of them! Next week, I’ll be looking at a Technic set – 8292: Cherry Picker. Let me know what you think of the revamped scoring system – if anything else you’d like to see in future reviews, let me know in the comments below.